Andrew Berry was born 2 October 1825, probably at Preston, Lancashire. He is thought to have been educated in Greek, Chemistry and Metallurgy. 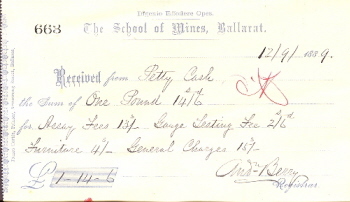 Replacing Frederick Martell, Andrew Berry was appointed as Registrar to the Ballarat School of Mines (SMB) on 11 Jan 1882, becoming the School's first full time registrar. Andrew Berry gave evidence during the Royal Commission on Gold Mining. The Commission visited Ballarat on 11 and 12 October 1889 where the investigated Ballarat's potential for further development of gold mining. During the investigation Berry stated that he had charge "of all the records and everything belonging to the school". The report was published in 1891. At the time of his retirement Berry was 70 years old. Aged pensions or superannuation was not offered at that time so the SMB Council marked their appreciation by donating 50 pounds from their depleted income. Berry had spent 17 years at the school and had been popular in the position. 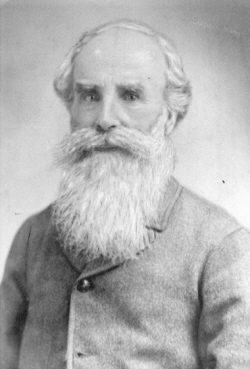 Andrew Berry died on 16 December 1905 at Armadale, Victoria.